Get ready to rock out the show with Disney Channel's Hannah Montana! Now, for the first time ever, you can bring home the Complete First Season on Disney DVD. 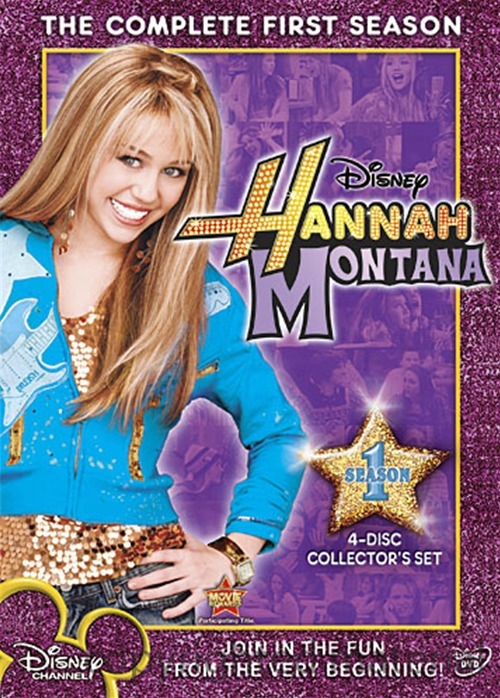 Plus, this 4-Disc Collector's Set is loaded with ultimate must-see bonus features, a visit to Miley's hometown, and totally cool guest stars including Corbin Bleu, Ashley Tisdale, Cody Linley and more! When Miley Stewart moves to a new city, it seems she's just an ordinary teen who wants to make new friends and fit into her new school. But she's got a huge secret: She's also the glamorous pop star Hannah Montana, who's living the celebrity dream with awesome concerts, limos and a huge closet full of the latest styles. Y'all won't believe the hilarious things she does to keep her double identity a secret. It all works out, though, because this girl totally rocks! - Lilly, Do You Want To Know A Secret? - O Say Can You... Remember These Words? - We Are Family... Now Get Me Some Water!